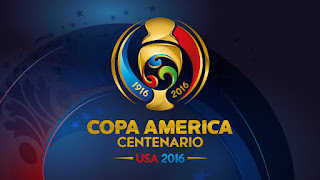 Hi Aspirants, The 2016 Copa America football tournament fixtures will start on 03 June 2016. This edition of the tournament will be held at United States. The competition is a celebration of the centenary of CONMEBOL and the Copa América, and is to be the first Copa América hosted outside of South America. The tournament will be the 45th edition of Copa América since its inception in 1916. In this post we bring you the details of the tournamanet with Fixtures in Indian Timings, Locations and Download PDF option. Sony Kix won the Broadcasting License in India to Broadcast Copa America Centenarian Soccer Carnival. In USA, the hosting nation, Fox Sports and Uni-vision are the Official Broadcaster of Copa 2016 Centenario in English and Spanish Respectively.